Founded in 1998, Arkasair's mission is to provide value-added first class VIP Air Taxi service that guarantees passenger satisfaction. 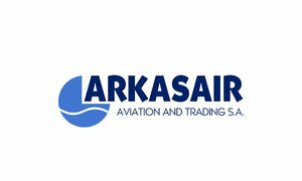 Arkasair is one of 61 companies owned by Arkas Holding S.A. Arkas Holding employs 6300 professionals in various fields including Business Aviation. For more information about Arkas Holding SA. : www.arkas.com.tr Arkasair is located at Izmir Adnan Menderes Airport and is the first Air Taxi company in Turkey to receive the ISO 9001 Certificate. Committed to passenger safety and satisfaction, Arkasair has 3 VIP jet aircrafts. Our fleet consists of fast and reliable Learjet 60 with 7 passenger capacity, wide body Challenger 604 which has been customized to seat 10 ensuring maximum passenger comfort and Challenger 300 with 8 passenger capacity. Arkasair will continue to provide the luxurious and efficient travel services that today's challenging business community demands.